Friday night determined who would take control of the No. 4 seed in the Eastern Conference. The Cs packed their bags and headed to Indiana in search of taking firm control of the No. 4 spot in the Eastern Conference with a victory over the Pacers. 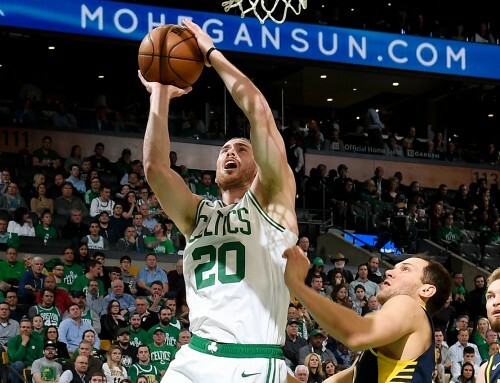 The Celtics played great basketball throughout to secure a 117-97 win over Indiana, and Gordon Hayward turned in perhaps his best performance of the season, scoring 21 points without missing a single shot all game long. Aron Baynes started the game off with a three-pointer for Boston. He then snatched the ball out of the air to throw down an alley-oop dunk from an Al Horford feed to give the Celtics another two. Cs guard Kyrie Irving proved why he is one of the best in the business, scoring 11 first-half points to pair with Baynes’ seven points. Boston trailed the Pacers 24-27 at the end of the first quarter. This would be the last time throughout the game the Cs would trail. 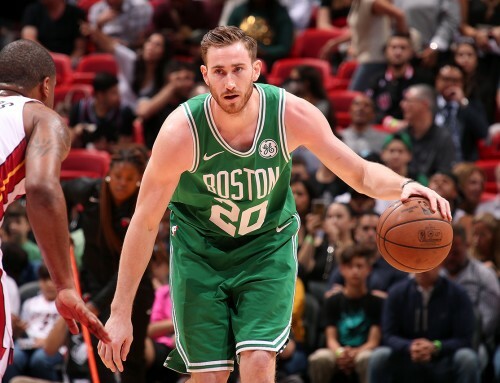 As has happened many times throughout the season, Hayward stepped onto the court to begin the second quarter and immediately made his presence felt. In the first three minutes of the second quarter, G scored eight points for Boston. 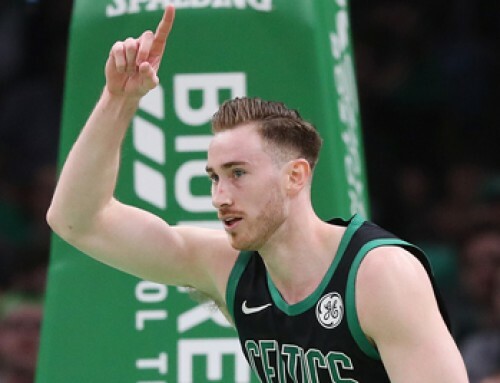 Hayward’s 19-footer at the eight minute-mark of the quarter was the boost the Celtics needed. The two points from G-Time gave his team the lead, and Boston wouldn’t relinquish it for the remainder of the game as they pulled away for a 20-point win. With the final seconds winding down in the second quarter, Irving hit Gordon with a pass that would lead to a buzzer beater to cap off a strong first half. 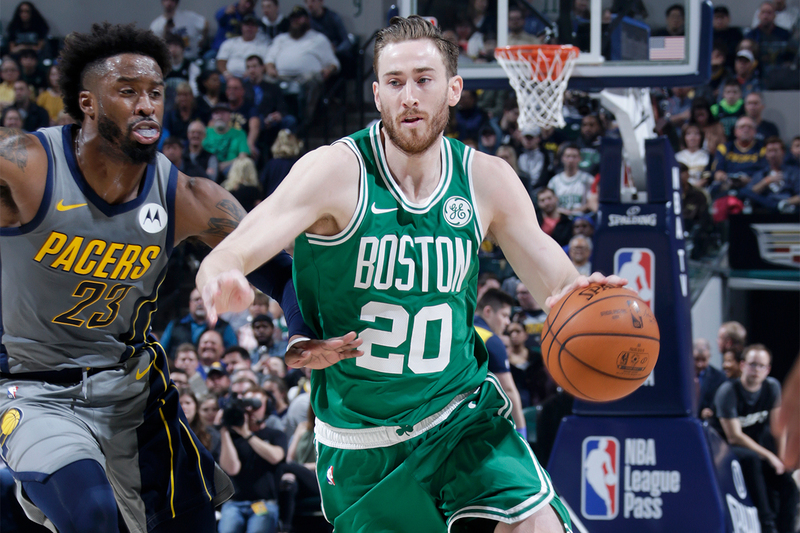 At the end of the first half, the Celtics led the Pacers 58-47. To start the third quarter, Boston’s star-studded lineup of Jayson Tatum, Marcus Morris, Marcus Smart, Irving and Horford picked up right where Hayward had left off, maintaining a comfortable margin. Then, Gordon checked back in and immediately went to work. In under one minute, Hayward made a driving layup, a 21-foot jumper and an eight-footer. Hayward was on fire and could not be stopped. About two minutes later, Hayward closed out another quarter by making the Celtics final shot, increasing Boston’s lead to 91-74. Hayward and the Celtics didn’t let up to start the final period either. They kept their foot on the gas until the outcome was certain. A little over one minute into the fourth, Hayward took a pass from Morris in transition and went to the hoop drawing a foul and converting the finish. Gordon cashed in on the free throw to give the Cs a 20-point lead over the Pacers at 96-76. The Celtics looked like they were in playoff form with six players scoring 10 points or more. Tatum led the Celtics with 22 points in his 34 minutes. Morris, Horford and Baynes all scored 11 points, and Baynes added 11 boards to give him a double-double. Irving added 17 points, but the story of the night was Gordon Hayward. 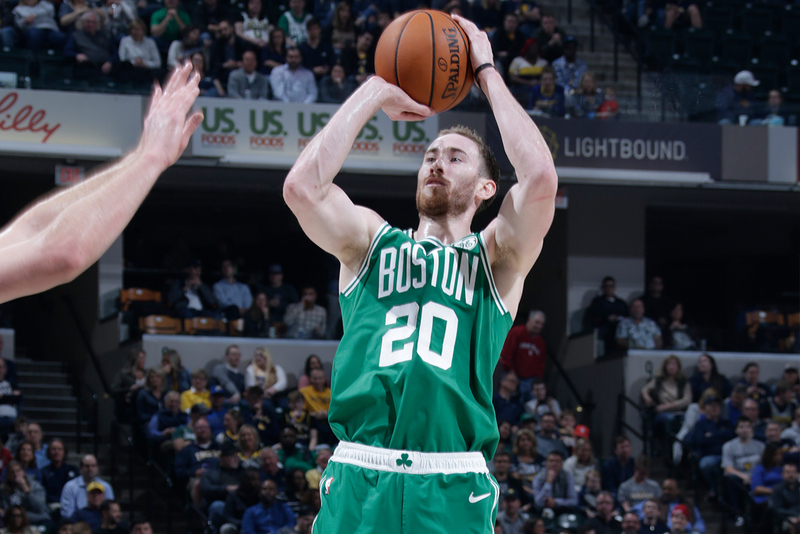 Hayward led the bench with 26 minutes, but in those minutes, he scored 21 points without missing a shot. 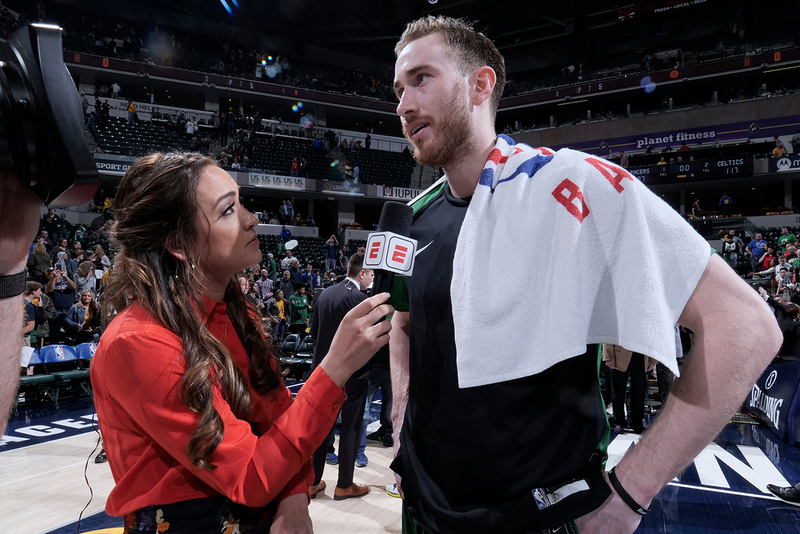 Hayward went 9-for-9 for the game from the floor. Gordon was sent to the line for three free throws made all three at the line. He also added four rebounds, two assists and one steal. When G was on the court, the team was +23. Gordon becomes the first Celtics player to score 20 points or more while shooting 100 percent since Kevin McHale did so in 1986. 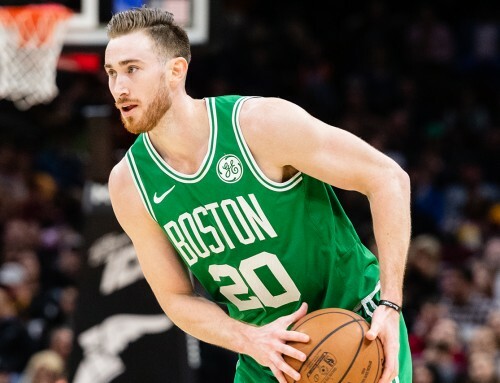 Hayward has now scored in double figures in his last seven games and is proving to be the player that Boston brought in from Utah, finding his rhythm just in time for the playoffs. 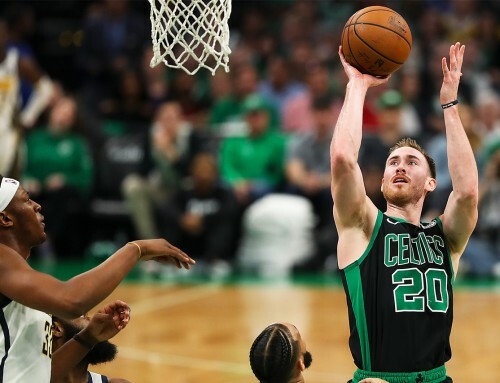 The Celtics have just two games remaining in the regular season, Sunday against the Orlando Magic in Boston, and on the road against the Washington Wizards on Tuesday. Tuesday’s game against the Wizards can be seen on TNT with tip-off slated for 7:00 p.m. ET.